Sewage treatment plants are used in areas of the UK where mains drainage is inaccessible and provide a modern alternative to septic tank systems. Acting as an independent waste water treatment system, sewage treatment plants are designed to promote the growth of Aerobic Micro-organisms which degrade the receiving waste water, producing a treated effluent suitable for discharge to a natural watercourse. There are various types of sewage treatment plants available in the UK, but these all work on the same principle of developing Aerobic Micro-organisms which reduce the polluting load in the effluent, followed by settlement to remove any fine solids from the treated effluent. This treatment principle for waste water is the same as the principle used at main sewage treatment works for towns and cities, but on a reduced scale. In most instances the level of treatment will enable the effluent to be discharged to a ditch, stream or river after approval from the Environment Agency is sought for England and Wales, or SEPA in Scotland. Sewage treatment plants have been available throughout the UK since the early 1980’s. 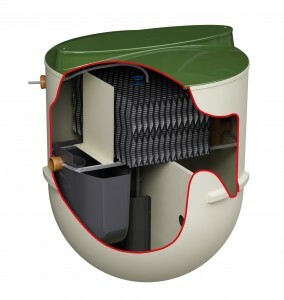 Over the last ten years there has been substantial advances in the design and manufacture of small sewage treatment plants. This together with more stringent regulations has resulted in sewage treatment plants being the preferred option over septic tanks and cesspools for the disposal of waste water for rural locations. Sewage treatment plants are typically in the form of ‘single tank’ systems, with the majority of the tank structure being installed below ground with only access covers visible on the surface. The majority of sewage treatment plants operate using an air compressor (air blower). These air compressors are typically housed within a small housing located remote from the sewage treatment tank. As leading independent installers of sewage treatment plants for over two decades, Mantair is ideally placed to provide consumers with independent advice regarding the best sewage treatment plant for each particular application. 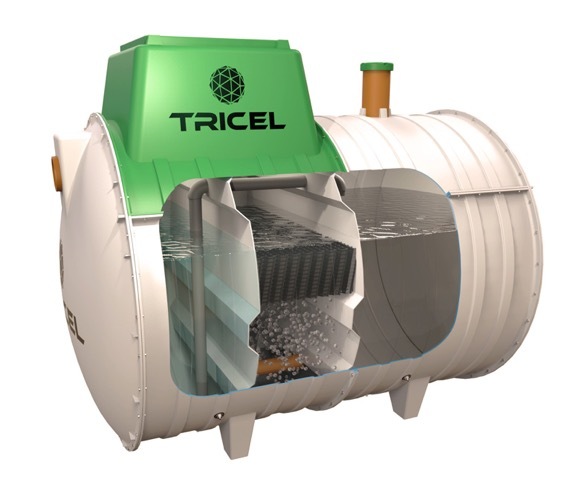 Tricel Novo sewage treatment plants are manufactured in accordance with EN 12566-3 and from one of the strongest glass reinforced plastic materials available – SMC (sheet moulding compound). The Tricel Novo is designed to be installed underground with only the air blower housing and access covers at ground level. Read more..
What’s the best sewage treatment plant for you? Choosing the right sewage treatment plant is essential to ensure value for money, effective long-term performance and compliance with relevant legislation. No sewage treatment plant is the most suitable for every application and therefore choosing a sewage treatment plant that suits the site conditions is essential. 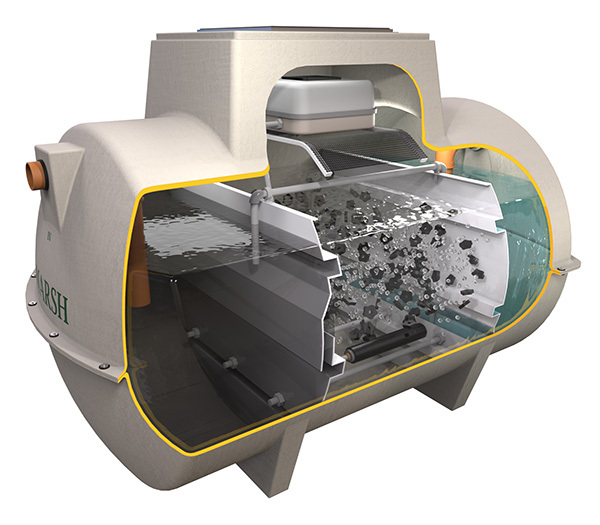 Mantair Limited is not tied to any particular manufacturer of sewage treatment plants, and as a result of this, we have no vested interest in using any particular manufactures equipment. This enables us to provide our clients with a treatment plant that suits their needs and the site requirements.